Marcello Tully, the only Brazilian-born chef in Britain to have held a Michelin star, continues to delight visitors to Kinloch Lodge with his fresh, locally sourced ingredients and multicultural flair. Born in Brazil and inspired by the flavours and street food culture of South America, Marcello Tully knew from an early age that he wanted to be a chef despite his father’s initial protestations. He moved to the UK when he was still a boy and began his career at 14 working as a commis chef in a French restaurant, gaining a passion for French cooking and appreciation of technical skill that would develop further throughout his career. College followed and it wasn’t long before Marcello Tully caught the attention of Albert Roux, who took him under his wing at Chez Roux, the first UK restaurant to feature sous vide techniques. After six years under Roux – at Le Gavroche, Roux Britannia and La Boucherie Lamartine – he moved into the catering industry, among other things developing high-end dishes for the luxury airline industry. 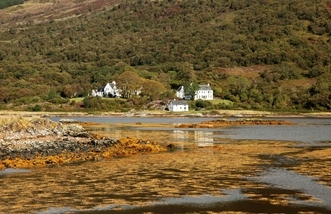 In 2007 Marcello Tully was approached by Lady Claire Macdonald, the reigning monarch of Scottish home cookery, who asked him to recommend a suitable culinary mind to modernise her Kinloch Lodge hotel and restaurant. Knowing he had something special to offer, he accepted the challenge himself and relocated his family to Skye, the stunning island off the west coast of Scotland. Claire and Marcello worked closely together when devising Kinloch’s daily changing seasonal menus, keen to reflect their shared passion of fine, locally sourced food and good old-fashioned Scottish hospitality. These passions, evidently, were shared by guests and critics alike, and within a year of taking on Kinloch Marcello Tully and his team had won three AA rosettes and a Michelin star, an accolade he held until 2017. Marcello’s approach to cooking centres around ingredients, and those he identifies as “core ingredients” in particular. The finished dish will develop around these, with all other aspects – sauces, garnishes and additional ingredients – introduced specifically to enhance and complement the core flavours. Whatever these core ingredients are – Moray pork belly, west coast scallops, Black Isle lamb – they will be only of the freshest, finest quality. Marcello Tully is a huge proponent of both seasonal and local produce, sourcing his ingredients from all over Scotland but hailing Skye in particular as “a chef’s paradise”. With the island’s coastlines and lochs, in addition to its proximity to the fishing port of Mallaig, it is no surprise to find a number of signature seafood dishes on the menu. Home-cured salmon, scallop mousse, and cod loin bouillabaisse, all executed with aplomb, are testament to Marcello Tully’s natural affinity with the fruits of his environment. Making extensive use of the venison and game birds so plentiful on Skye as well as all that ultra-fresh fish, Marcello Tully’s food is unquestionably Scottish yet it remains influenced by modern European preparations that the chef perfected during his time with Albert Roux. 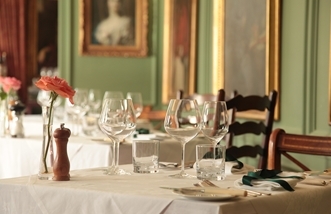 In that sense, the dishes on Kinloch’s daily changing menu can be described as almost biographical in their blending of cultural and culinary influences from throughout Marcello Tully’s life and career. 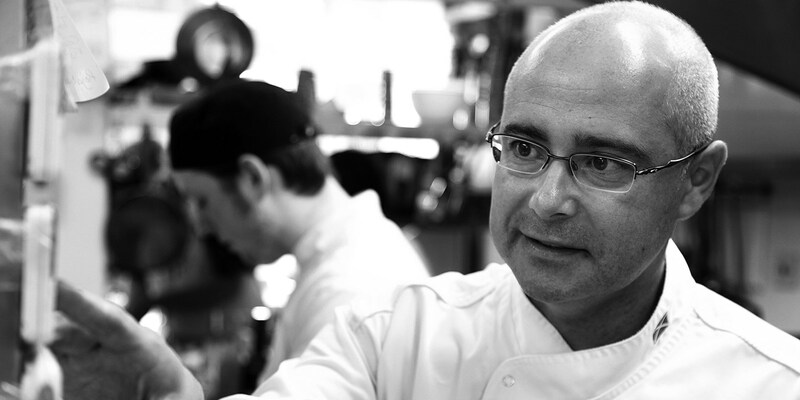 With the best of locally sourced Scottish produce prepared using both modern and classic French techniques, Marcello even finds room for influences from his Brazilian heritage – approximately ten percent of the menu incorporates Brazilian flavours, such as citrus and fruit. Think Mallaig sea bass with lime and coconut, and passion fruit parfait. Even the cheeseboard at Kinloch is made up of offerings from both Scotland and France. When Marcello Tully moved to Skye he fell in love with the island’s rugged landscapes, dramatic vistas and famously unpredictable weather, and Kinloch’s proximity to some of the world’s finest ingredients – not to mention whisky – sealed the deal. The chef’s unique blending of the classic with the humble, the exotic with the earthy demonstrates that, while he maintains his Brazilian national pride, there’s also a pride in his new, adoptive homeland that shines through on every plate he serves.